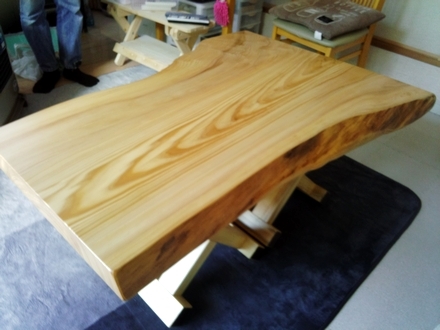 We delivered a sofa table made from the Tsuga tree. The kanji for Tsuga is a combination of the kanjis for tree and mother. Tsuga has a soft, delicate, color true to its name. 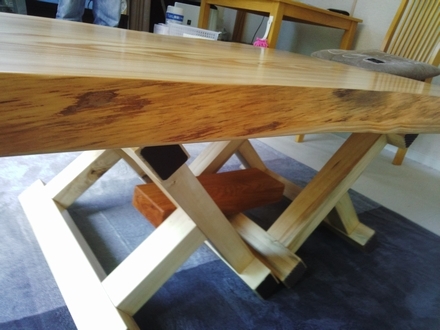 The table's height can be changed to 30 cm for a low table, 40 cm for a sofa table, and 50 cm for a dining room table. 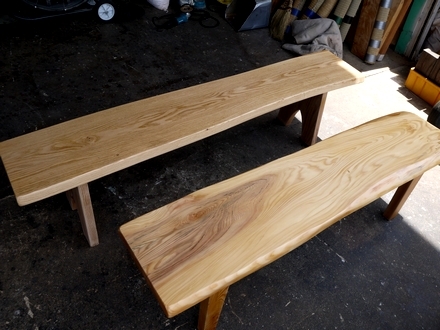 Two new benches are available at Kiraku! 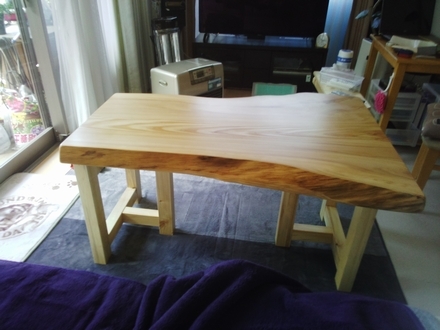 One is made from the Walnut tree, and the other is made from Hemlock. Both has a beautiful grain, and will look amazing with any table!! 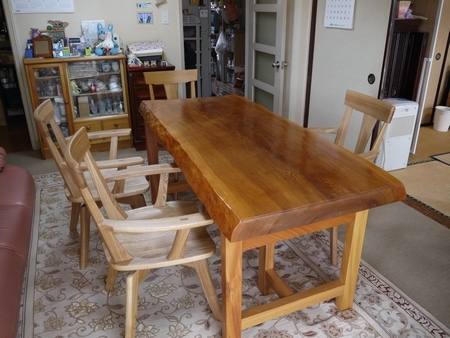 We made a delivery of table legs and chairs to Otugawa, Kahiwa-shi. 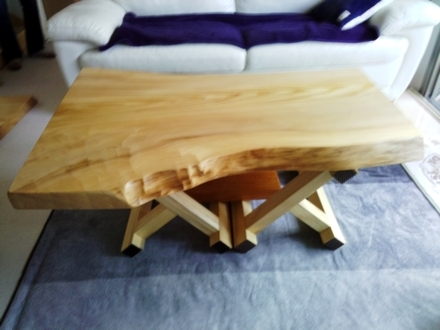 The customer already had a beautiful "Tuga" (Japanse hemlock) table top which was used as a low table. 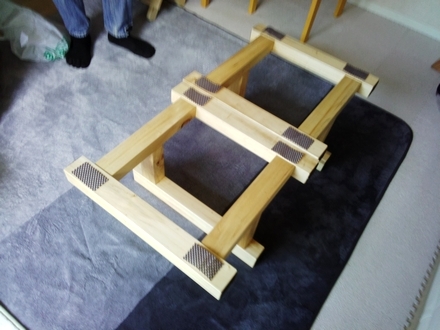 Now she wanted to change it to a dining table so that it would be easier to sit and stand. 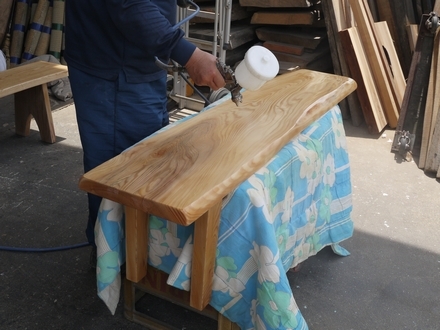 A renovation unique to long lasting, high quality wood.